My surgery date is Dec. 11. I turned down two options today to move it up to mid-November. It just really works out well for Dec. My husband has an entire month of vacation already approved for then (I’m sure taking care of me is his idea of a great vacation). Plus there is less going on at work and so an easier time to be off. I’m nervous when I think about it, and glad I have some time to prepare myself. So much to do between now and then! 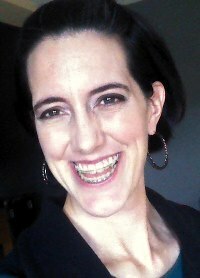 For those that are just joining my blog, I am getting double jaw surgery to fix my underbite, cross bite and open bite. The underbite is the big thing. I have been noticing this fall more than ever how poorly I chew and bite. I will be soooo happy to eat normally! The day is coming! Happy about a surgery date! You can see my underbite here. next couple of months coming your way! Yay!!! Congrats on getting a surgery date! And it’s just around the corner too! I’m sure it will be here before I know it!